The Neo- CystoSheath consists of Single Use Diagnostic or Operating Outer sheath with Suction / Irrigation and instrument Channel. The CystoSheath is designed to be compatible with commercially available Viewing Endoscopes marketed by Karl Storz, Olympus, Richard Wolf, Circon / ACMI and others. The Neo-CystoSheath for Diagnostic Cystoscopic procedures for use with 4.0mm Viewing endoscopes and Irrigation / Aspiration capability is available in 15 Fr Size for All major Cystoscope brands. The Neo -CystoSheath for Operating Cystoscopic Procedure for use with 4.00mm Viewing endoscopes, Irrigation /Aspiration and 5.0 Fr Instrument channel available in 17 Fr size, compatible with All major Cystoscope brands. 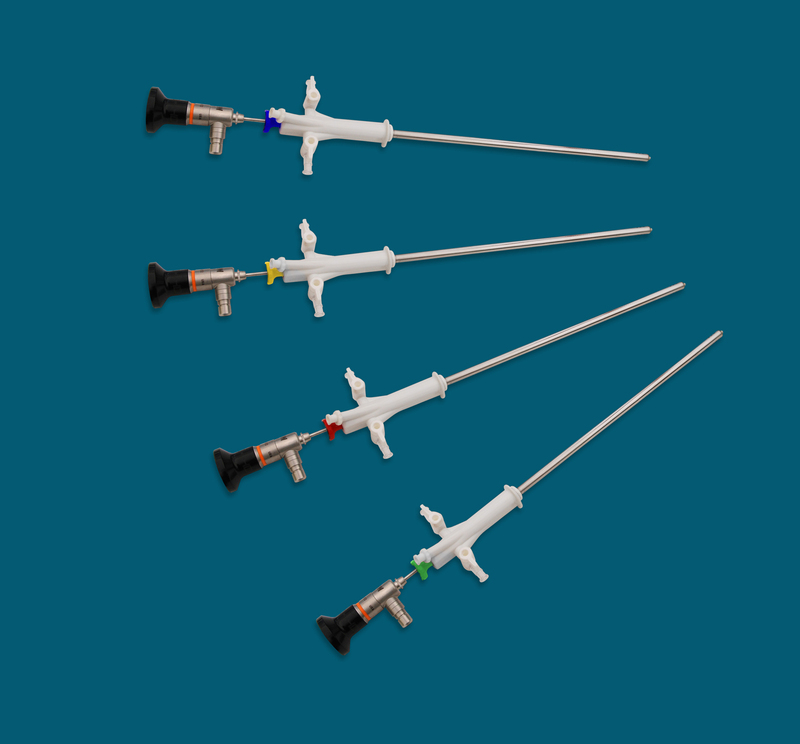 The Neo -CystoSheath for Diagnostic and Operating sheath is also designed to completely isolate the Viewing endoscope from Irrigation / Aspiration fluids and patient body fluids / tissue by incorporating a dedicated channel within the CystoSheath with a soft, clear distal tip and sealed connection at the proximal end. The Neo- CystoSheath provides an affordable option for physicians and patients, while minimizing potential risk of cross contamination / infections and Cleaning / Processing cost commonly associated with Reusable Cystoscope & Inner/Outer Cysto Sheaths. The Neo- CystoSheath offering represent a next generation of Endoscopy.. An Affordable Option to prevent potential risk of cross contamination & to enhance Patient safety..